It would be difficult to name another court case in which the scales of justice have been so tipped against the fate of one man, Viktor Bout, the inspiration for a million box office ticket sales. 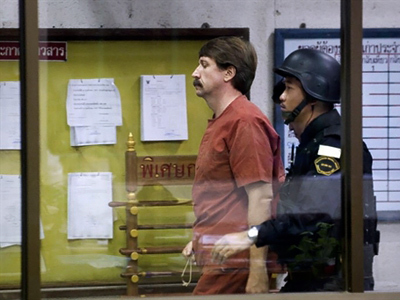 This week brought a dramatic curtain fall on the life of Viktor Bout, 43, the alleged Russian arms dealer who had been sitting in the “Bangkok Hilton” for the past two years as he waited for Thai officials – with a bit of help from the US – to pass judgment on his fate. Bout’s arrest and slow-motion extradition process to the United States was the result of a 2008 sting operation carried out by the US Drug Enforcement Agency (DEA) on the territory of Thailand. Undercover agents and paid informants, posing as members of the Revolutionary Armed Forces of Columbia (FARC), allegedly got Bout to agree to supply surface-to-air missiles and rocket launchers. Following "excessive pressure" by the US, the Thai government overruled a previous decision by its lower court that ruled in Bout's favor. Today, the man who Hollywood has dubbed “Lord of War” is sitting in a US prison cell, where his prospects for being served justice (i.e. a fair trial) are impossibly low. This is something the Thai government never bothered to consider. There are, after all, wildly conflicting reports on Viktor Bout, a former officer in the Soviet Air Force who started an air cargo business following the collapse of the Soviet Union. 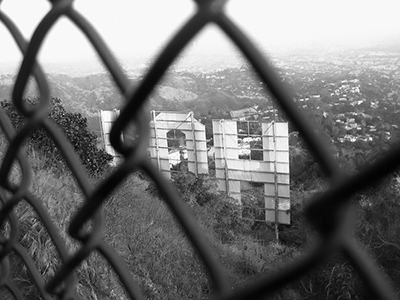 It seems, however, that the “Lord of War” also had a soft spot for philanthropic work. In addition to fearlessly doing business in danger zones, “Bout delivered aid too – to both the south Asian tsunami victims in 2004 and Pakistani earthquake zone in 2005 – and shuffled UN peacekeepers and weapons into Darfur,” the British daily added. Precious little concrete evidence, however, was available to back up these claims. Meanwhile, Brian Johnson-Thomas, former UN arms inspector, said in an interview with RT that Bout’s international business operation was not necessarily an illegal venture. Eventually, however, Bout’s reputation for doing business in some of the most hostile regions in the world helped to forge an image of a ruthless gun runner, obsessed with making a fast buck regardless of the consequences. It was only a matter of time before a Hollywood scriptwriter would jump on this story and run with it all the way to the box office. When Orlov is eventually confronted by US federal agent Jack Valentine, played by Ethan Hawke, the Merchant of Death has some bad news for the sheriff: I’m going to "walk out of here," he says, "because I'm evil, but a necessary evil." That comment even makes Clint Eastwood’s “Go ahead, make my day” taunt look tame by comparison. So is it realistic to expect that even the Hollywood version of Viktor Bout will be able to get away with talking to an American officer of The Law like that? Heck no. According to Box Office Mojo, Lord of War pulled in an estimated $24,149,632 at American box offices and $48,467,436 on the foreign markets, for a worldwide box office pull of $72,617,068. This figure does not include DVD sales, by the way, which would easily put this film’s total value over the $100 million mark. While not on the same epic level as the film Titanic, Lord of War nevertheless entertained a huge number of audiences worldwide. This represents a rather significant problem for Mr. Bout and his defense team. Assuming that Viktor Bout’s case is actually heard in a public court of law, and not in some military tribunal or other kangaroo court – Mr. Bout should be at least grateful that some black helicopter did not whisk him off to Guantanamo Bay in the middle of the night – how will his defense team be able to plead his case before an unbiased jury? A fair trail can only be guaranteed if the members of the jury do not have any preconceived notions or judgments about the individual in question. Indeed, it is not uncommon for high-profile cases in the United States to be moved due to local bias. In the case of Viktor Bout, however, every American citizen with access to a television set has certainly heard of his story – either via Fox News, CNN or Hollywood. All of this makes it tempting to hope – for hope is all that is left for Viktor Bout – that the United Nations will agree to hear this case in the International Court of Justice (which the United States, incidentally, withdrew from compulsory jurisdiction in 1986 following its covert war with Nicaragua), which may be the only place on earth where Bout could expect to receive a fair trial. Whether the ICJ is permitted to hear such a case is another question. 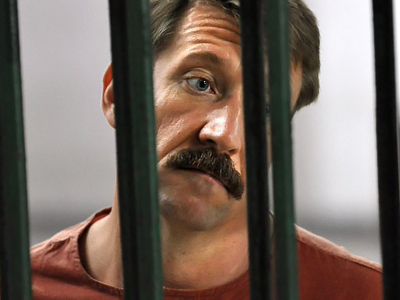 Whatever or wherever the case, Russia is obviously concerned about Viktor Bout – innocent or otherwise – receiving a fair hearing back in the US. "We are not saying Bout has committed nothing illegal," Russian Foreign Minister Sergey Lavrov said on Thursday. "We do not know for sure. No one knows until a judgment is passed." “We are advocating that the rights of our citizen are secured by all international norms. And we want justice to be served. Nothing more." 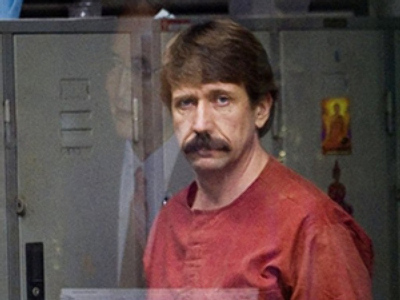 Now it will be up to the American judicial system to prove that Viktor Bout, the man known in the United States as 'Lord of War,' has received a fair trial, because just like it is with Hollywood, the entire world will be watching.